An independent non-profit organization that evaluates clinical and cost effectiveness of new medicines said announced prices for a just-approved class of potent cholesterol lowering drugs were far too high, according to a draft report released on Tuesday. The Food and Drug Administration has approved two brands of the injectable drugs, called PCSK9 inhibitors. 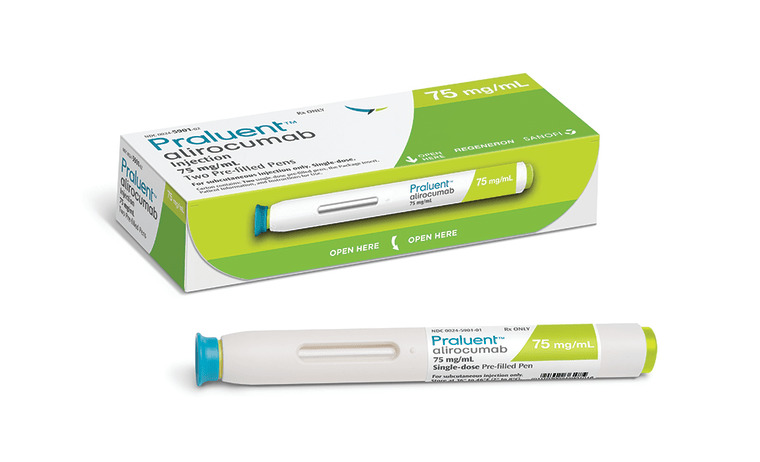 Praluent, made by Regeneron Pharmaceuticals and Sanofi will cost $14,600 for a year of treatment. Amgen Inc set an annual price of $14,100 for its version, called Repatha. The Boston-based Institute for Clinical and Economic Review (ICER) said its analyses indicated "that the price that best represents the overall benefits" the drugs may provide patients would be between $3,615 and $4,811 a year, which is 67 percent less than the list prices. "Even if these drugs were used in just over 25 percent of eligible patients, then employers, insurers, and patients would need to spend on average more than $20 billion a year for these drugs," ICER president Steven Pearson said in a statement. It would take a further price reduction to an annual cost of $2,177 in order to not have to try to limit patient use to keep overall health care cost growth within bounds, ICER concluded. The PCSK9 inhibitors lowered levels of "bad" LDL cholesterol by about 55-60 percent in patients who could not reduce their levels enough with inexpensive, widely used statins, such as Lipitor, or those who could not tolerate statins. Ongoing studies will determine if they actually cut heart attacks as statins do. Depending on how they are used in practice, it has been estimated that between 3.5 million and 15 million Americans could be eligible for treatment, ICER said. "There are serious questions regarding the price at which these drugs would represent a sensible value to patients and to the health care system," the report said. ICER found that the two drugs appear to have equivalent overall effectiveness for most patient groups. The drugs were initially approved for use in patients with a hereditary form of extreme high cholesterol and those with heart disease. Amgen said it disagrees with ICER's methodology, assumptions and preliminary conclusions. "We are concerned that ... its short term budgetary focus will be used to create access barriers to innovative medicines like Repatha for appropriate patients," Amgen spokeswoman Kristen Neese said in an emailed statement. Regeneron said it needs to better understand the methodology used in the ICER analysis and called for a robust peer review process. "We are committed to providing affordable medicines and ensuring access to Praluent for patients who are prescribed the therapy," Regeneron spokeswoman Hala Mizra said. The PCSK9 drugs have been in the crosshairs of U.S. pharmacy benefit managers, such as Express Scripts and CVS Health. They hope to gain significant discounts for customers by offering the drugmakers preferential usage status in exchange for lower prices, as they have done with expensive new hepatitis C treatments.